Here is this week’s list of blog posts, charts, novellas, videos and other tidbits from my favourite corners of the web. 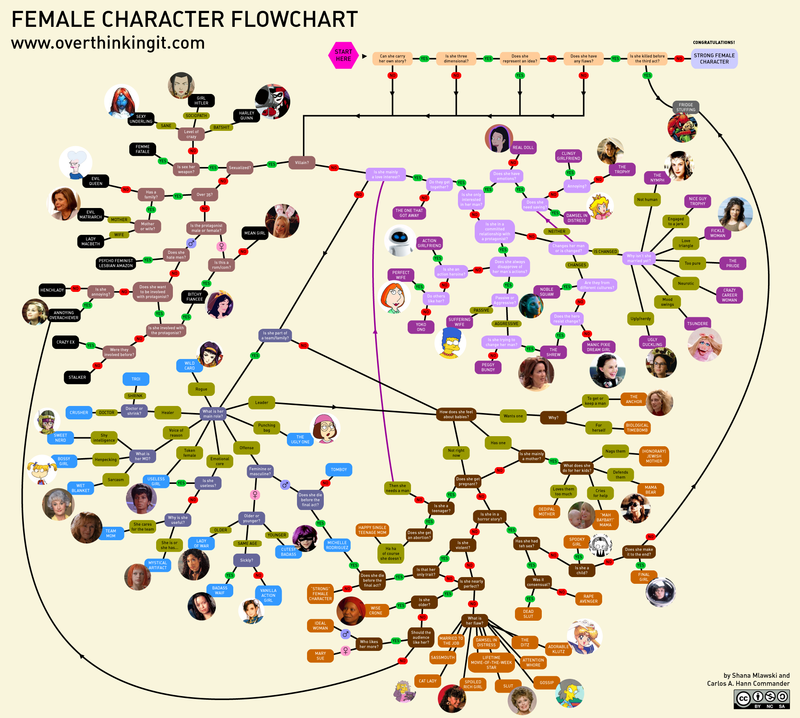 Female Characters Flowchart. I wonder how this chart would look if there were more women writers working behind the scenes in the entertainment industry? Lucy Hardin’s Missing Period. When I was a kid I seriously loved the Choose Your Own Adventure books. This online novella is an adult version of that series. In it you learn about the life of Lucy Hardin and periodically make decisions at key points in the story. There are hundreds of different variations on this story that can be created based upon what you think Lucy should decide about even mundane choices. A word of warning for those who are very sensitive about these matters: some of the story lines lead to Lucy experiencing a miscarriage or abortion. In others, she has a baby. Nothing about her life is set in stone. Why I Will Always Be Agnostic. The only thing more intriguing than talking about (dis)belief is translating the variety of our beliefs into a scale. loved the germ theory article! It was a great one. I can’t believe that anyone could honestly believe some of those things, though.